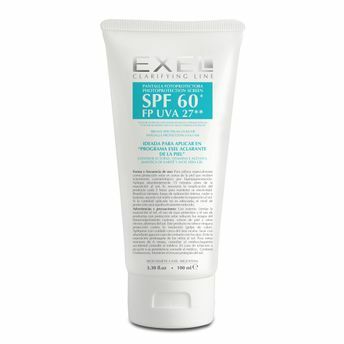 The EXEL Sunscreen SPF 60 PF UVA UVB 27** Broad Spectrum sunscreen is not just a sole sun protector, but a unique, multi-benefit cream. A powerful formulation, this sunscreen delivers superior broad spectrum sun protection against both aging UVA ray and burning UVB ray sun exposure, while intensely nourishing and hydrating the skin to keep it soft, smooth and feeling healthier than before you went in the sun. It is specially designed to provide sun protection without causing breakouts on acne prone skin. The star ingredient is a proprietary formulation called Ectoin - an organic substance released by halophyle bacteria adapted to withstand extreme environments. It creates conditions within the cells that enable them to tolerate strong heat and dehydration. The cream also contains Vegetable DNA, Aloe Vera Gel, Vitamin E, Yeast cells extract, Shea Butter and Witch Hazel extract. Together they help reduce signs of premature skin aging, provide maximum protection and an ultra-moisturizing action. The UVA & UVB filters such as Oxybenzones, Octinoxate, Octocrylene and Titanium Dioxide form a protective film against harmful rays, thus slowing down aging of skin while treating sunburn and hyper-pigmentation. With UVA 27- which is among the highest UVA protections in the market. The anti-oxidant properties of Vitamin E have the ability to neutralize damaging free radicals associated with ultraviolet (UV) and infrared radiation (IR) by its Antioxidant properties. Explore the entire range of Face Sunscreen available on Nykaa. 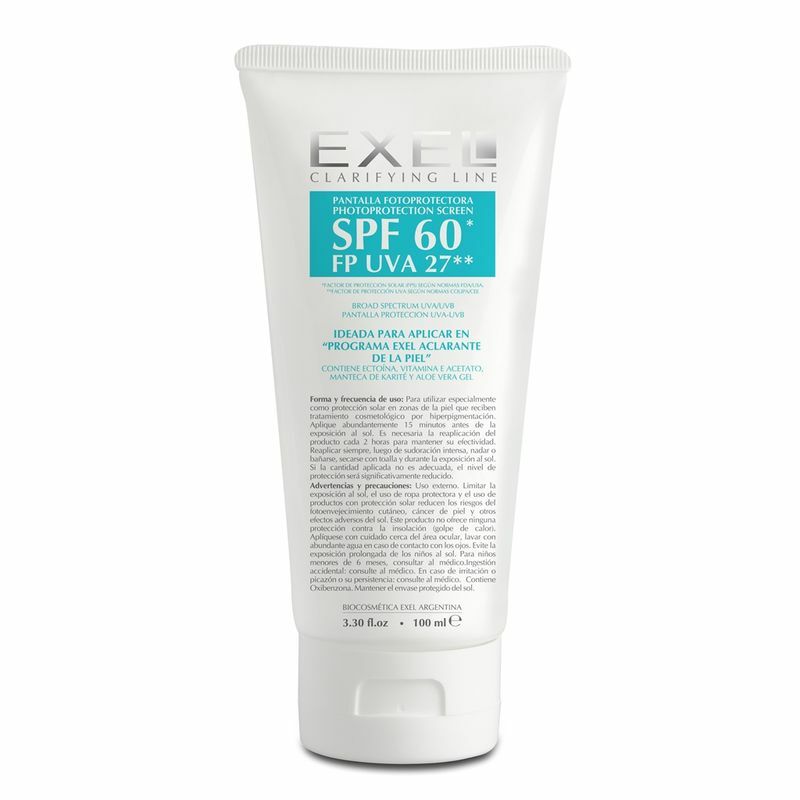 Shop more EXEL products here.You can browse through the complete world of EXEL Face Sunscreen .